For many hopeless romantics the notion of where to dine and wine your special someone on Valentine’s Day doesn’t really matter as long as you both are solid and vowed to be together forever. But the truth is, while that’s the general idea at the back of our minds we always long to spend the day at some swanky and gorgeous place where not only that food is great but there’s also this added element of romance, passion and surprise not just to perk up our special day but also to create special memories. Well, if you’re still in the limbo of deciding and finding where to bring your special someone this Valentine’s, I just got a perfect place for you to make that special moment happen. 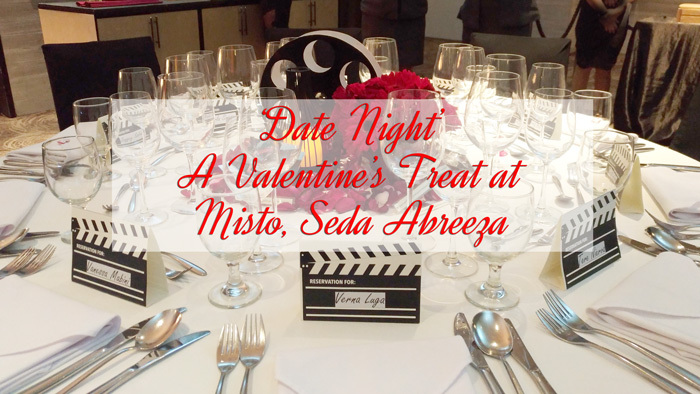 Misto, Seda Abreeza’s award winning all-day restaurant has a special treat for you and your loved one this Valentine’s. I was one lucky earthling I got a preview of what awaits you when you spend this special day at Misto. On Valentine’s Day, guests will be treated to a movie-themed ‘Date Night’ kind of night. Tables will be decked with romantic set-up - red roses, red gerberas, candles and subdued lightings to bring out that romantic ambiance at the resto. 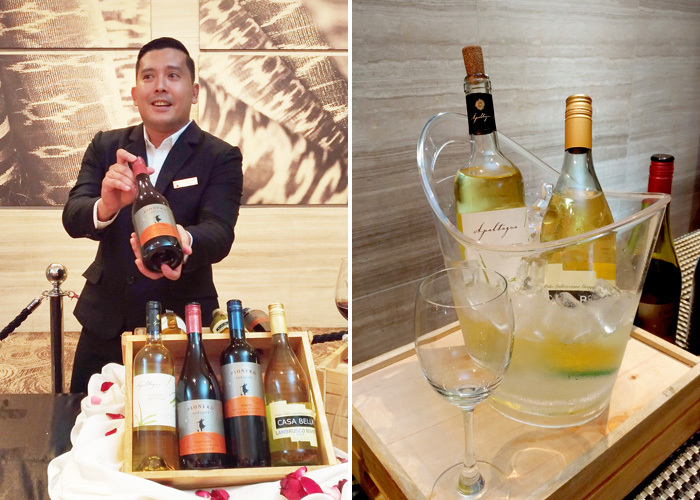 A 3-course wine-pairing plated dinner will be served. 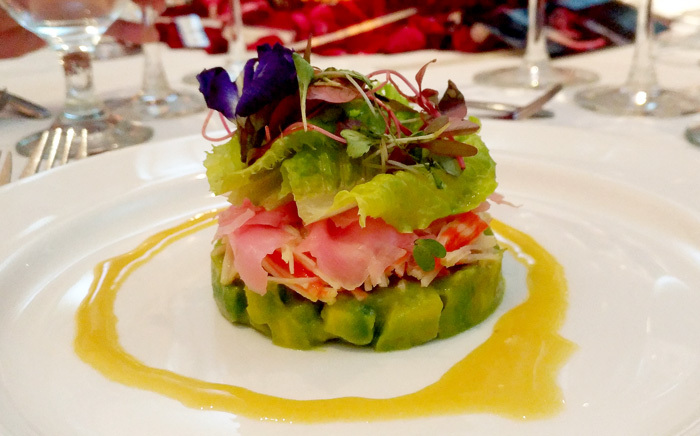 Beginning with the most exquisite salad I’ve ever tasted this year so far, the Crab Stick, Avocado, Pickled Ginger, Baby Herbs and Greens w/ Honey Calamansi Dijon Vinaigrette. w/ Honey Calamansi Dijon Vinaigrette. This impressive stack is as good as it looks. Its complex flavour made it truly a stand-out. The pickled ginger gives it a little zing. All other green bits and pieces give it texture and appetizing feel. The avocado cubes compliment it to bring to the palate creamy, tangy goodness you can’t help but moan. Thought it’s just like your partner. S/he may be complicated and all but all together - a well-put, appealing and a wo/man you can’t get enough of. And for your wine, you will be served the bright, fresh and cheerful Chilean Apaltagua Gran Verano Sauvignon Blanc. 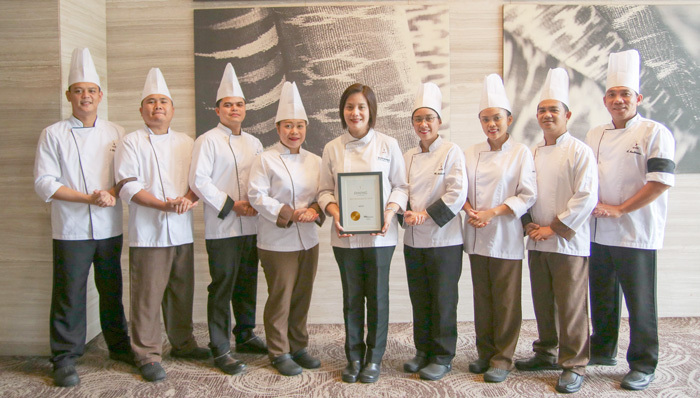 Misto Executive Sous Chef Giovanna “Bang” Flores-Sibala informed us that all the dishes prepared for Valentine’s are Asian inspired. 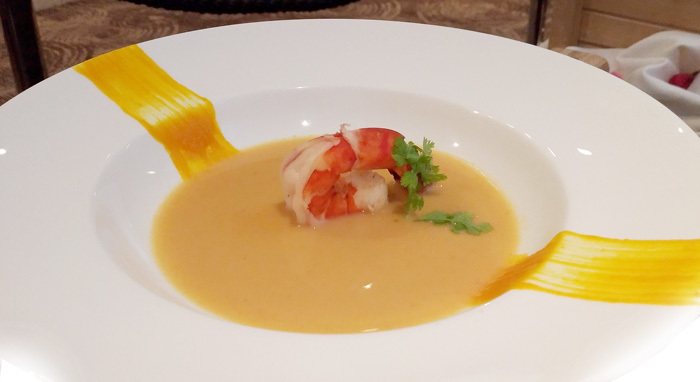 So for the soup, you will have Shrimp in Spiced Coconut Milk. I know what you have in mind, I also thought its deep in spice, but mind you, it’s perfect to keep your night alive. 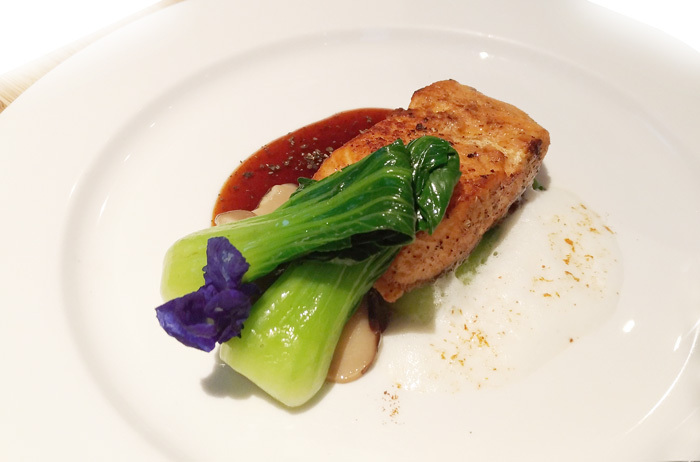 The main course will be Teriyaki Glazed Salmon w/ Malabar Black Pepper, Bok Choy and Shiitake Mushrooms. You can’t go wrong with Salmon specially when it's done with all these delectable add-ons. 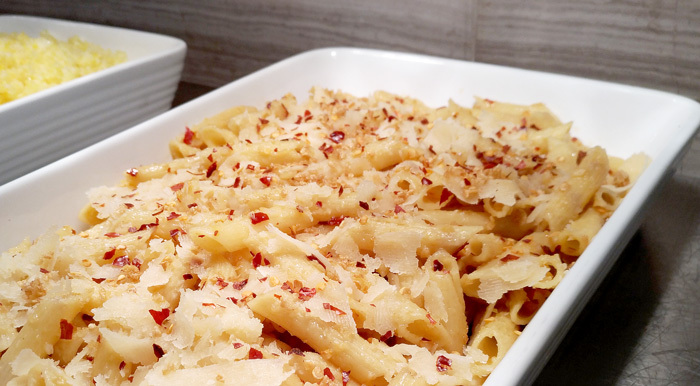 I know the best way through anyone’s heart is through their stomach, I am certain this is one perfect dish to seal over a promise, a promise not just to celebrate your love for each other, but a pact to come back and enjoy other offerings at Misto in the future. And for your wine, you’ll have the fruity and fresh Chilean Morande Pionero Sonador Pinot Noir to toast to the occasion. Misto’s signature and impressive as always dish, Roasted Angus Beef Short Plate w/ Rosemary Gravy will also grace your romantic night. Take your time not only to cherish your company but also to savour this perfected goodness especially roasted just for this occasion. You’ll also have Mashed Potato, Saffron Rice Pilaf and Aglio e Olio Penne w/ Parmesan Cheese to go with the carved meat. 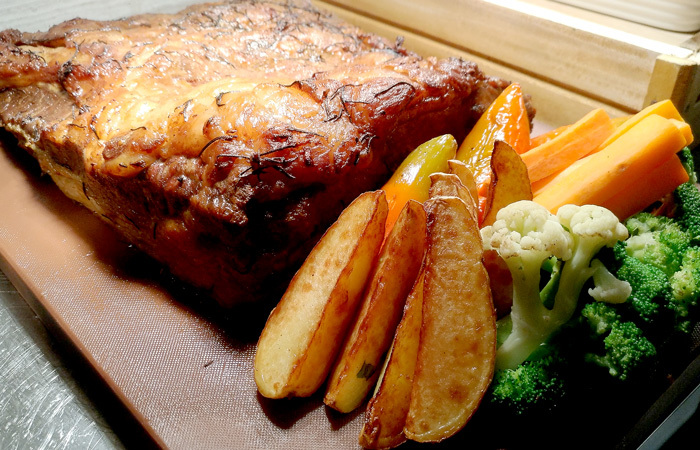 Enjoy a glass of rich and fruity Morande Pionero Sonador Merlot to go with this dish. 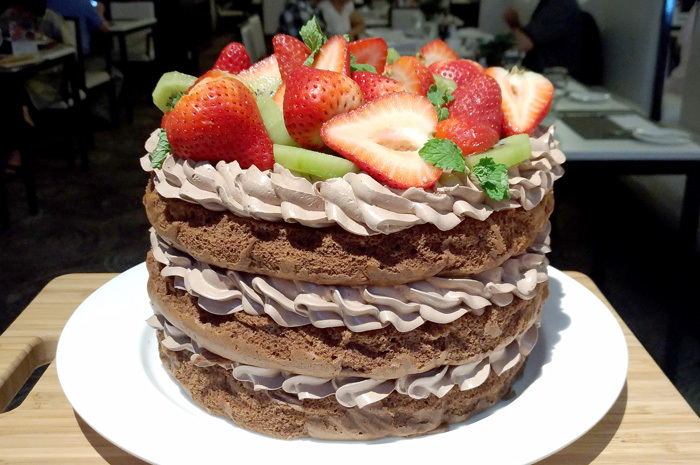 Misto’s desserts are what frequents always look forward to. They’re always this little spread of sweet heaven on Earth. Misto always go over and above the usual. 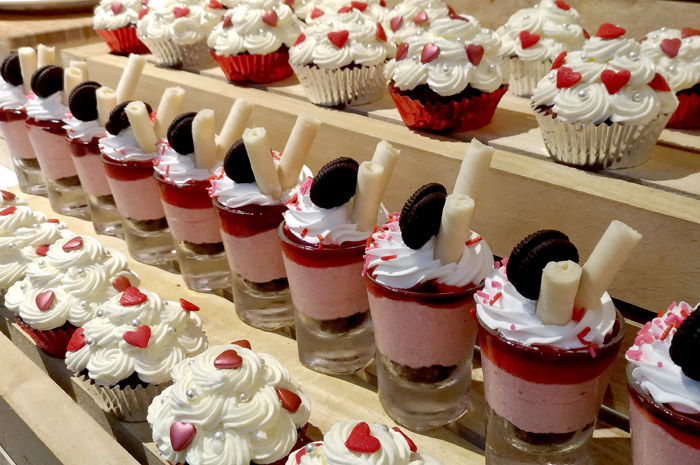 This Valentine’s Day you will be treated to a spread of Strawberry Mousse Cheesecake Parfait, Chocolate Torte Cake, Red Velvet Cupcakes and my ultimate favourite, Valentine’s Day Oreo Pop. You will have the sweet without a heavy taste of wine, Casa Bella Lambrusco Bianco Dolce to polish off your choice of dessert. 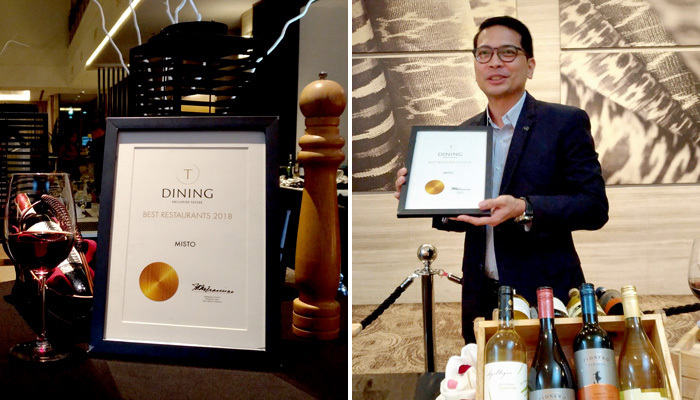 Recognized by Philippine Tatler Dining* as one of the Best Restaurants for 2018 is another reason why you’re going to spend your Valentine’s Date Night at Misto. You can never go wrong with Misto if you intend to impress your date on Feb 14. Or if you’re already a frequent, this will be yet another remarkable occasion to check out new mouth-watering creations on the spread. 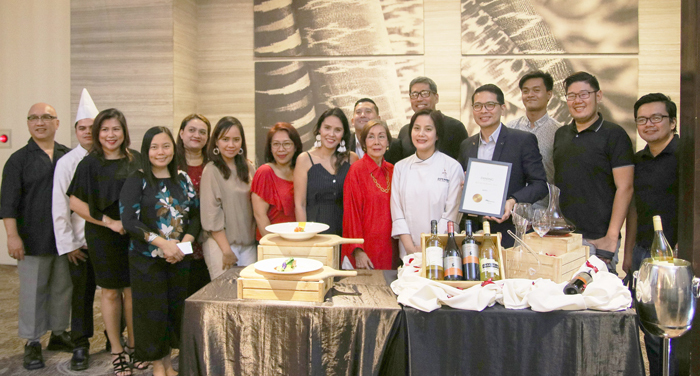 Seda Abreeza's GM Ken Kapulong with Philippine Tatler's certificate of recognition. Misto was named two years in a row as Best Restaurant in the country. and her Misto power culinary team. Adding to the excitement of your date night will be the sweet surprises prepared by the hotel for the lucky guests. 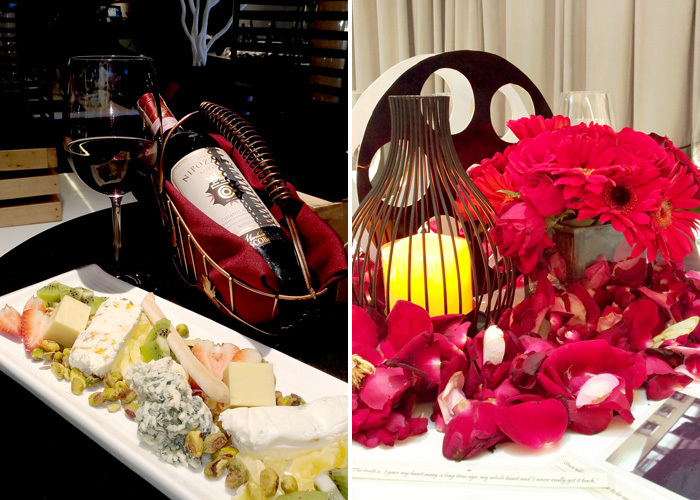 Valentine’s Date Night is tagged at Php 1680 nett per person, with prior reservations required. 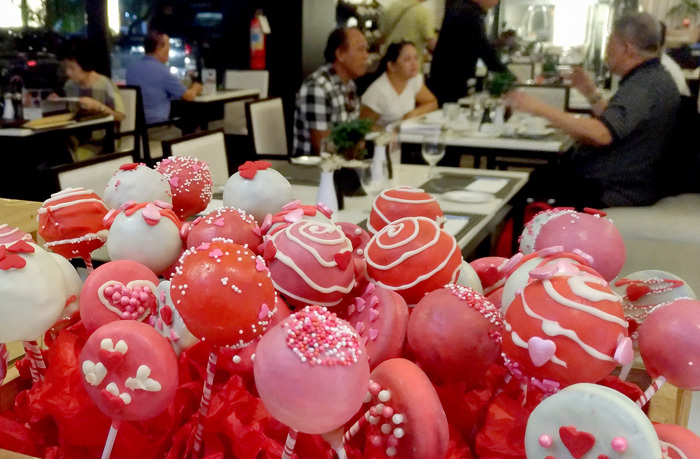 Seda Abreeza also offer Valentine room packages from February 10-18, 2018 for Php 5500 nett, with a Valentine present for those who will book. For February 14, a special room and dinner package is available at Php 7800 nett – this includes; Overnight accommodation in a Deluxe Room; Buffet breakfast for 2 persons; Valentine Dinner for 2 adults; and a Valentine present for the guests. Davao Digital Influencers and Davao media friends at the Valentine's promo launch. Thanks a bunch for treating us to a fabulous pre-Valentine dinner, Misto! – Misto will make it happen for you.